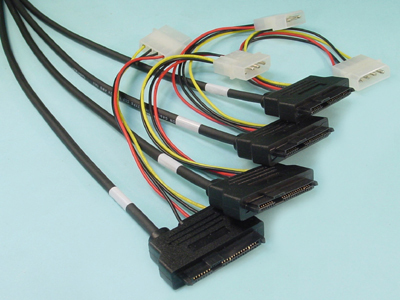 These adapters are used to connect either a SAS drive or SATA drive to a SAS or SATA Host Bus Adapter. 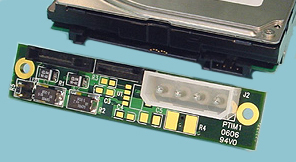 If connected to either a SATA controller (HBA) or a SATA drive, then only the primary port will be active. 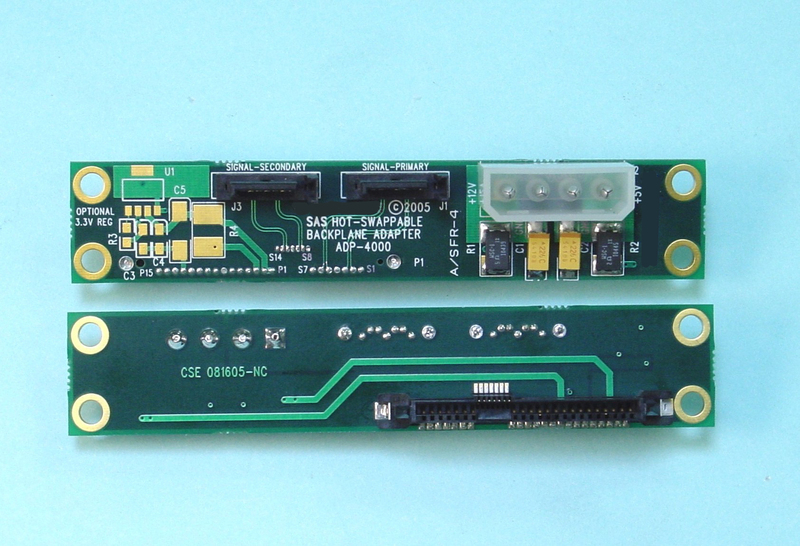 ADP-4000: "Hot-Swap" SAS Drives at a fraction of the cost of a backplane Designed to fit a 1" high, 3.5" SAS Drive, the ADP-4000 provides the Hot-Swap SCA Drive Connector and (2) 7-Pin Signal connectors for redundant host applications. 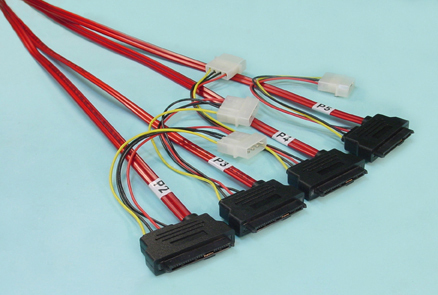 A standard power connector provides +12V,+5V and +3.3V (Optional). 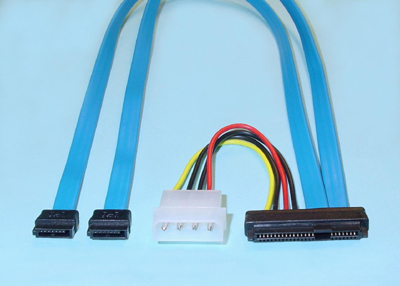 The .75"x 3.95" form factor is identical to our SATA ADP-3800 Adapter so you can move up to SAS with no changes to your enclosure's mounting scheme. Remember: "A SATA drive will plug into a SAS connector but a SAS drive will not plug into a SATA connector." ADP-4200: "Hot-Swap" Drive Adapter for 2.5" & 3.5" Drives. It measures .6" high and 2.76" wide for high-density drive arrays, and easily mounts to your hardware for Hot-Swapping of 2.5" Drives. 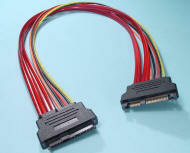 The 29-pin drive "docking" connector and (2) 7-Pin Signal connectors (for redundant SAS host applications) provides an ideal mounting platform for SAS and SATA Drives. Standard power connector provides +12V and +5V (Optional 3.3V). Now Rated for 6 GB SAS! This is a fully-populated 2-Lane SAS Extension Cable. Can be used to remotely locate a SAS drive for bench-top evaluation, etc. Extends SAS backplane connection. 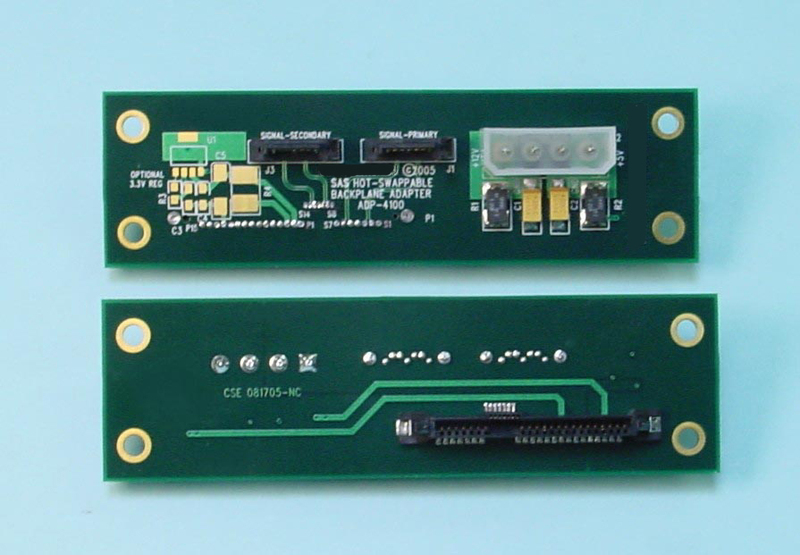 Has 3.3v, 5v, and 12v power lines. 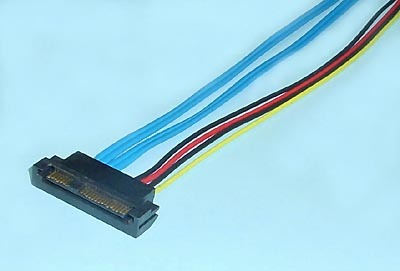 Connector is same as on SAS drive - plugs onto SAS backplane and breaks out (2) signal and (1) power lead. Used for system analysis, etc. 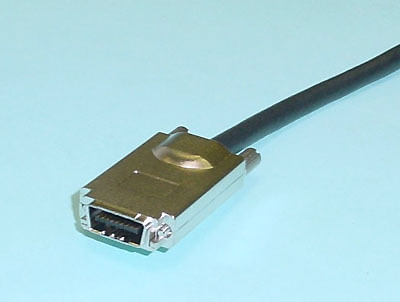 Connector is same as on SAS backplane. It plugs onto SAS drive and breaks out power & one or two signal cables. Used for system analysis, etc.